Millennial poll: Is Trump's presidency living up to expectations? President Donald Trump is performing about as expected in his first year of office for 44 percent of millennials, according to results from a new NBC News/GenForward survey. Forty-five percent say his presidency has been worse than anticipated, while just 8 percent said he is doing better. But for millennials of color, reflections are especially grim. 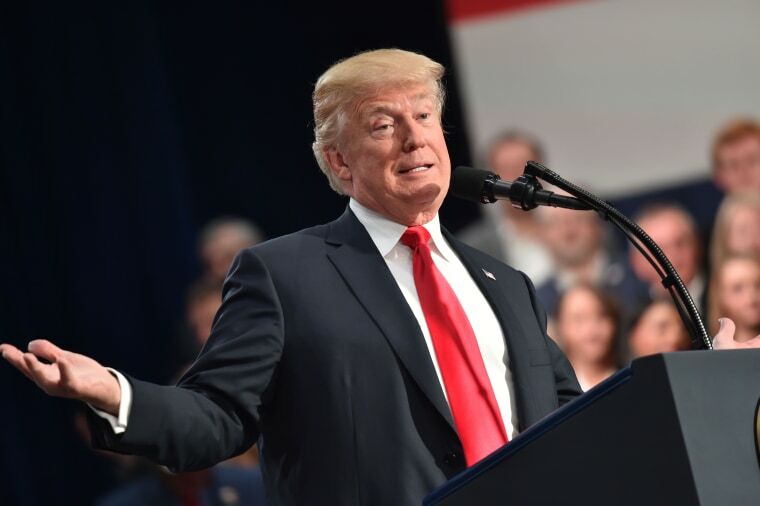 While a majority of white millennials said Trump is performing about how they expected (52 percent), majorities of African-Americans (57 percent), Latinos (61 percent) and Asian-Americans (52 percent) said that Trump is doing worse than they expected. Nearly 70 percent of Latina women said Trump is doing worse than they expected. A majority of Republican millennials (58 percent) said Trump is doing about how they expected. And a majority of Democrats (61 percent) said the president is doing worse than expected. Independent millennials are more split than Republicans and Democrats on their feelings about the job Trump is doing. Forty-nine percent said he’s doing worse than they expected and 47 percent said he’s doing about what they expected. The poll also found that young adults overall do not have a favorable view of Trump, his actions as president so far, or what his long-term legacy will be. Sixty-three percent of millennials disapprove of the way Trump is handling his job as president. Another 41 percent and 32 percent, respectively, say they are concerned or scared about what he has done so far in office. Fifty percent think he will go down in history as a poor president. Though majorities of millennials across racial subgroups say they are concerned or scared about what Trump has done so far as president, African-American millennials are much more likely than other racial subgroups to express fear about Trump's policies. African-American women were the most likely subgroup to say they are scared, at 45 percent. Pronounced concern among some millennials could be driven by how much power they think the office of the presidency has in shaping their own personal lives. Overall, only three-in-10 millennials say that who is president makes a big difference to their personal life (29 percent), while nearly half (47 percent) say it makes some difference. Asian Americans were more likely than any other racial group to say that the person who is president makes a big difference on their own personal life — 41 percent compared to 38 percent of African Americans and 36 percent of Latinos. Only 23 percent of white millennials said who is president makes a difference to their own personal lives. Millennials who identify as Independent were more likely than Democrats or Republicans to say that who is president has no difference on their own lives (35 percent). A majority of Republicans (55 percent) said that who is president makes only some difference on their own lives. Democrats were more split — 46 percent said who is president makes some difference on their lives and 40 percent said who is president makes a big difference. The NBC News/GenForward at the University of Chicago Survey was conducted Oct. 26-Nov. 10, 2017, among a nationally representative sample of 1,876 adults ages 18-34, recruited and administered by NORC at the University of Chicago. The overall margin of sampling error is +/- 3.92 percentage points. For full results and methodology, click here. Stephanie Perry is the manager of polling at NBC News.